This week on The Line, host Eli Sussman is joined by Bobby Hellen, executive chef of GG’s in the East Village. Growing up in a large Italian family in New York City, Chef Bobby Hellen has always felt most at home in the kitchen. 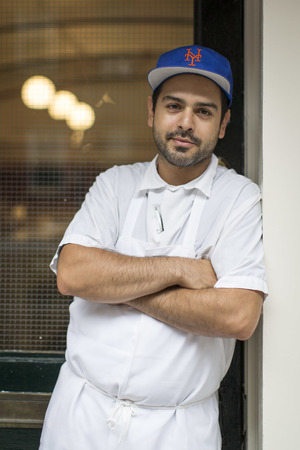 Influenced by his grandmother, a devout Mets fan from Brooklyn who used to take pride in her homemade pastas, sausages, and cured meats, Hellen found cooking at a young age and learned to love the controlled chaos of a kitchen. Tune in to follow the line of Hellen’s career from culinary school to “meat prodigy” and beyond!